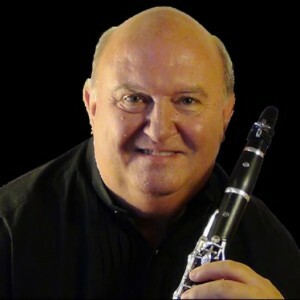 Les will diagnose your clarinet and offer a simple solution to all basic problems – whether pads springs adjustments or silencing, Les solve all the problems. Simply give him a call on 01600 714169 or his mobile or email in contact page and he will give you a quote for the repair, no repair too small each job quoted for individually and can be very inexpensive – a simple pad replacement from £10 and spring replacements from £15 but for a major overhaul see below. Basic Servicing: strip the clarinet, clean out all tone holes lubricate all rods with ultimax lubricant, silence the mechanism, fix/replace any pieces of cork that may have come off linkage keys, repair any pads that are not sealing fix broken springs from £75 – full quotation on visual inspection. Les has been fixing clarinets since he was 8 years old – he took his first instrument apart aged 7. Being a top professional player he can accurately test the playability and set the clarinet up as a professional would expect it to be. A complete repad starts at £195 for a normal Bb clarinet using Teflon covered pads in most areas plus some cork and/or neoprene in areas requiring different density pads depending on the make and model of the clarinet. The price includes a full play test by Leslie and a professional finish to the clarinet includes polishing and cleaning. Les also repairs mouthpieces and re-faces scratched, damaged mouthpieces if the damage can be repaired. He also stocks a selection of both Ridenour and Craven /Behn mouthpieces if upgrades or replacements are required. Mouthpiece refacing work repairs to scratches and other damage – quotes based on visual inspection. If you are local to the Monmouthshire area a collection service and delivery can be arranged for a small nominal fee to cover time and fuel.